Adnan Syed's quest to overturn his murder conviction and free himself from jail may have hit its final roadblock when the Maryland Court of Appeals issued a 4-3 decision reversing the Maryland Court of Special Appeals’ ruling to grant Syed a new trial. 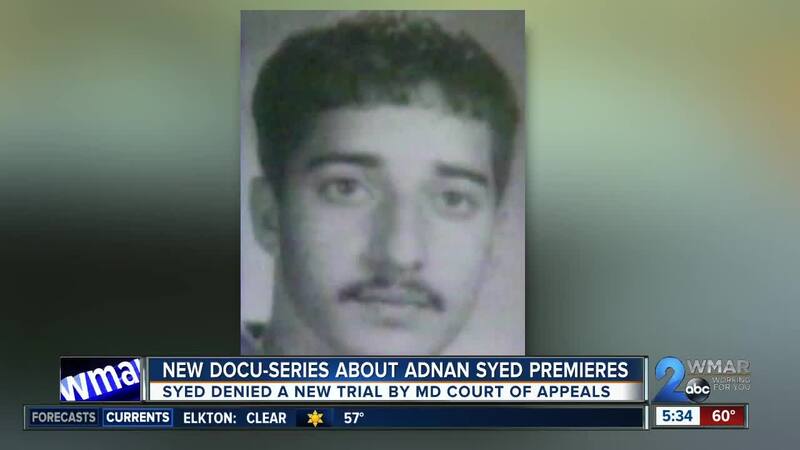 Adnan Syed's quest to overturn his murder conviction and free himself from prison may have hit its final roadblock when the Maryland Court of Appeals issued a 4-3 decision reversing the Maryland Court of Special Appeals’ ruling to grant Syed a new trial. Syed was convicted of the 1999 killing of 18-year-old Hae Min Lee, Syed’s ex-girlfriend and classmate at Woodlawn High School. The case was re-examined in the first season of the widely popular podcast “Serial,” in which doubts about Syed’s guilt and the handling of the case by both investigators and Syed’s legal defense were explored. The trial is again under the microscope as an HBO documentary series explores the story. Syed was convicted in 2000 and sentenced to life in prison plus 30 years. Following the popularizing of the case by “Serial,” a new defense team began to build an appellate case for Syed, arguing that his original defense attorney, the late Christina Gutierrez, did not provide adequate counsel by not pursing a possible alibi from a woman named Asia McClain that could have placed Syed at a Baltimore County library at the time of Lee’s death. Syed also felt Gutierrez did not challenge vociferously enough the prosecution’s use of cellphone location data used to incriminate him. After clearing initial legal hurdles, a 2016 ruling from a Baltimore City Circuit Court Judge granted Syed’s request for a new trial, ruling that Gutierrez provided ineffective counsel and vacated his conviction. Syed was not granted bail prior to this new trial. Two years later, the Maryland Court of Special Appeals upheld the ruling granting the new trial. The State then appealed to Maryland’s highest court, the Court of Appeals. Justice Michele Hotten, added an additional opinion both agreeing with and dissenting from the court’s ruling, of which Justice Sally Atkins and Chief Judge Mary Ellen Barbara concur. The latest ruling means Syed’s conviction will be upheld and he will remain in jail for the duration of his sentence. He has now exhausted his legal options in Maryland, but he can appeal to the United States Supreme Court in the hopes they may decide to hear his case. "We are devastated by the Court of Appeals’ decision but we will not give up on Adnan Syed," read a statement from Syed's lawyer Justin Brown. "Unfortunately we live in a binary criminal justice system in which you either win or you lose. Today we lost by a 4-3 vote. Our criminal justice system is desperately in need of reform. The obstacles to getting a new trial are simply too great. There was a credible alibi witness who was with Adnan at the precise time of the murder and now the Court of Appeals has said that witness would not have affected the outcome of the proceeding. We think just the opposite is true. From the perspective of the defendant, there is no stronger evidence than an alibi witness." WMAR-2 News talked with David Jaros from the University of Baltimore's School of Law. He says Syed's future looks bleak in his case. "There are some further steps he can take," Jaros said. "He can appeal to the Supreme Court. He can move for a rehearing. Reconsideration in the Court of Appeals. But his chances of successfully pursuing this appeal have gotten much smaller." Jaros also says Syed's case had two hurdles to overcome in order to move forward with a new trial. "(Syed) had to show both ineffective assistance of counsel and that it affected the outcome of the case. The minority, 3 of the 7 votes, found that it did."